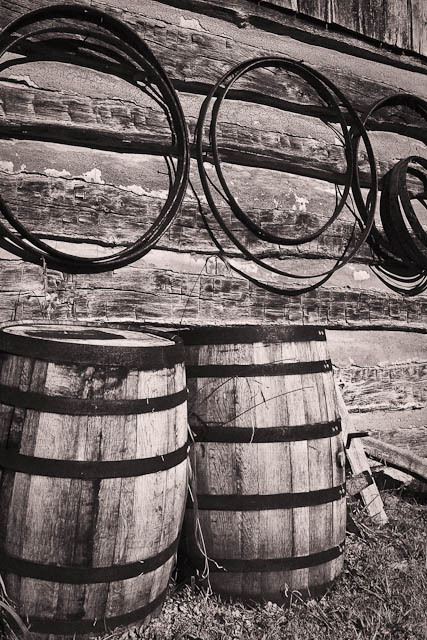 Once, many products were stored and shipped in hand made barrels such as these. Steel hoops secured the wooden barrel staves, and many of these antiques remain usable today. I found these outside an old barn in the Blue Ridge Mountains of Virginia.